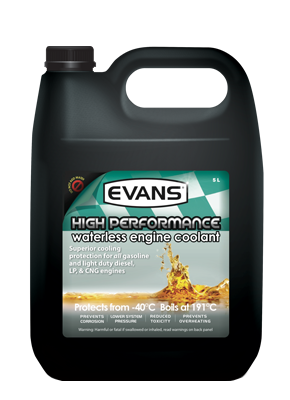 Evans High Performance waterless coolant is designed for all gasoline and light duty diesel engines. Evans coolant eliminates many problems associated with water in conventional water-based cooling systems, while increasing reliability and engine life. 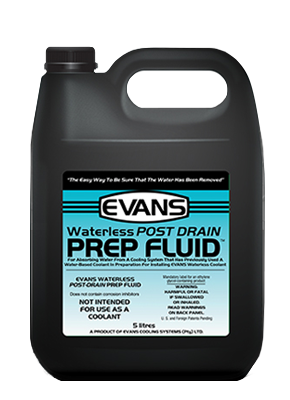 Evans High Performance coolant is ready to use — no water required. It contains no silicates or phosphates and requires no Supplemental Coolant Additive (SCA).